It's the week of Thanksgiving, so I am delighted to start the week by presenting you all with TWO giveaways for the holidays! I am collaborating with Kiss Me Darling, Style Elixir and other fabulous bloggers, to bring you the chance to win a $500 Visa Gift Card! So perfect just in time for the holidays, what would you buy? 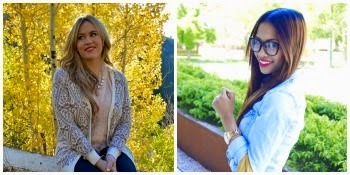 I've also teamed up with these lovely blogger ladies to give away any RAKANI designer watch of your choice up to $250 and a pair of Ray-Bans that are worth $150. Enter below in the Rafflecopter to win! Oh my word, with $500 I would buy an arm chair for our living room, a headboard for our bedroom, or buy a bunch of Christmas presents (plus a few for myself)!